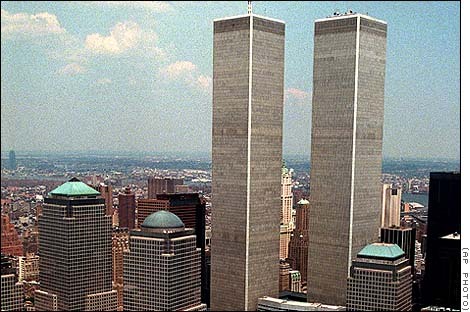 The World Trade Center as it was before the attack. This is an AP photo - not sure when it was taken. 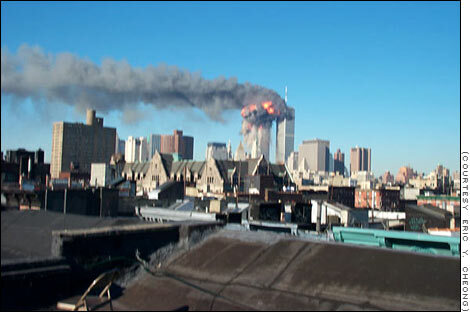 United Airlines flight #175, a fraction of a second before plunging into the south (#2) tower of the WTC. The explosion from UA #175, as seen from the other side of the river. 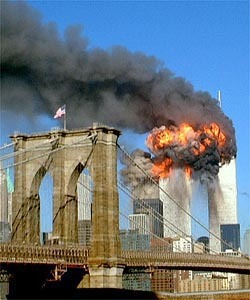 My NYC geography knowledge is pretty weak - don't know what the vantage point of this picture was. I presume this also to be the initial impact of UA #175.
photos on the web of people jumping, I have chosen not to post any here.